Royal ISD Junior High School From the classroom to the world! 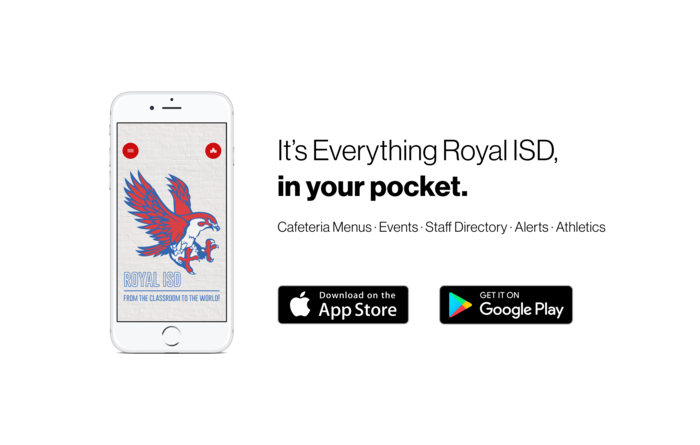 Check out the official app for Royal ISD allows you direct access to the most recent news, announcements and event calendars. Customize the app to display information relevant to a specific campus and to receive important notifications from the district.